Baldwinson, Booth and Peters. 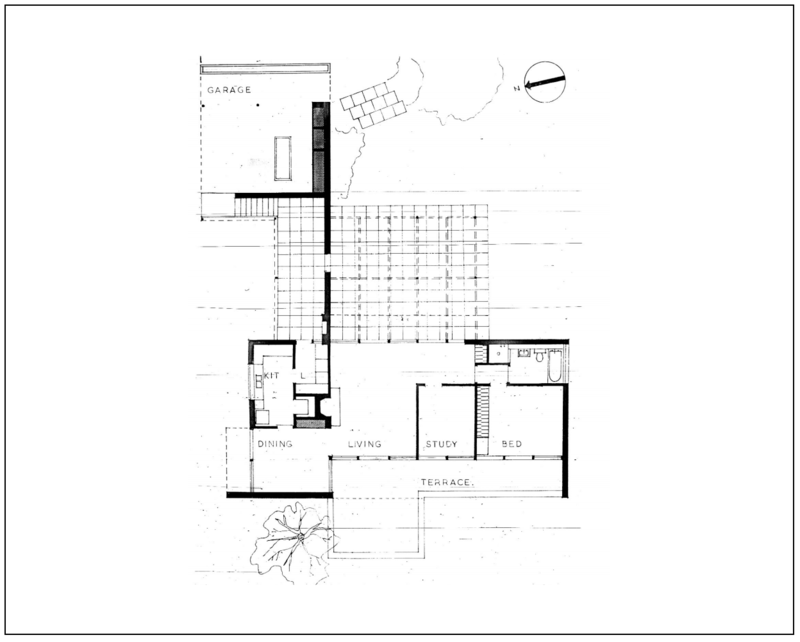 The Simpson-Lee House, 1957-1962. Front Elevation. (partially enclosed garage in bagged brick to the right) March 2004. Baldwinson, Booth and Peters. 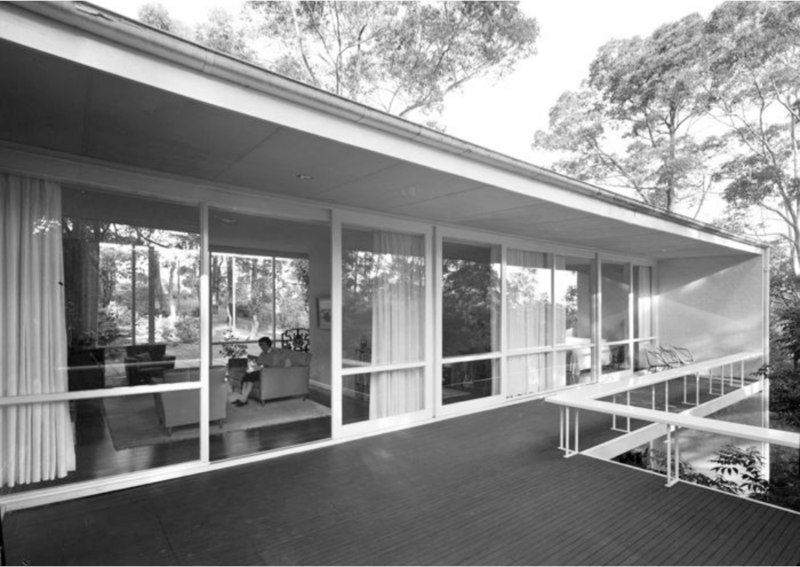 The Simpson-Lee House, 1957-1962. Rear deck, ca. 1964. Photo Max Dupain, Courtesy of the Max Dupain Studios, no. 6121. Baldwinson, Booth and Peters. 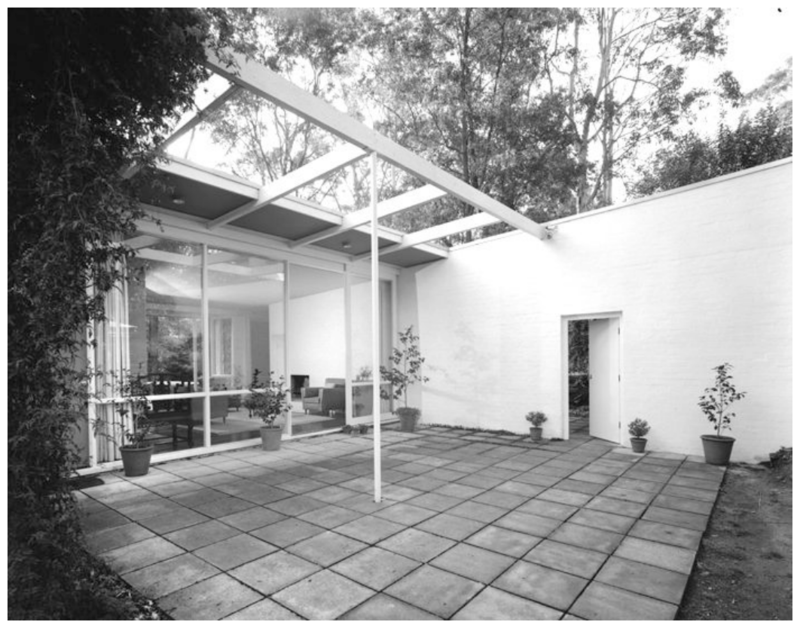 The Simpson-Lee House, 1957-1962. Hearth in bagged brick with terra cotta tiles in living area (left), detail of kitchen in typical “scientific kitchen” composition. March 2004. Baldwinson, Booth and Peters. The Simpson-Lee House, 1957-1962. The entrance court and the blade wall shielding the garage and garage stairs. The door and eaves underside were painted a blue secondary hue. Photo ca.1964. Photo Max Dupain, Courtesy of the Max Dupain Studios, no. 6121-2. Baldwinson, Booth and Peters. 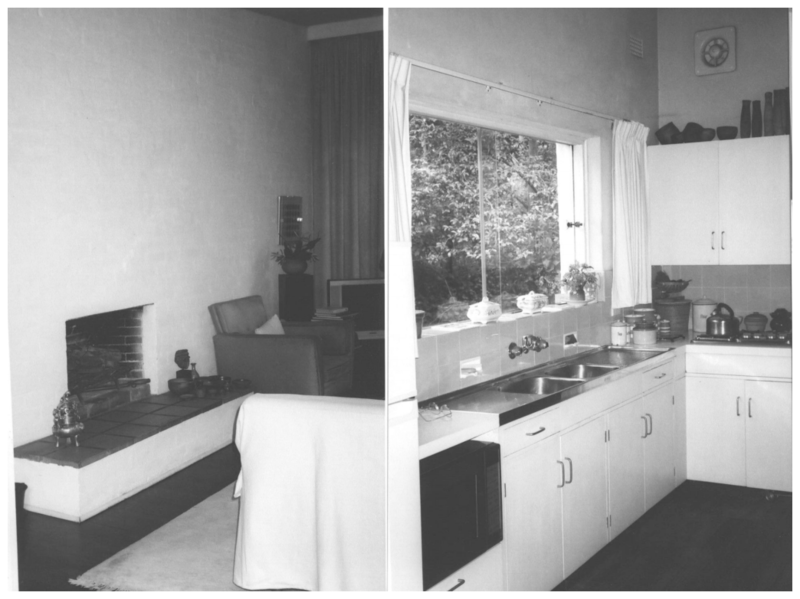 The Simpson-Lee House, 1957-1962. Drawing, 1958. Baldwinson papers, PXD 356, f.1885.